Walter Hines Page Research Professor of Literature and Latin American Studies; has a Licenciatura in Comparative Literature from the Universidad de Chile, Santiago, 1965. He has taught at the Universidad de Chile, the Sorbonne (Paris IV) and the University of Amsterdam. His major publications include the essays, How to Read Donald Duck (in collaboration with Armand Mattlelart, 1971), The Empire's Old Clothes (1983), and Someone Writes to the Future: Essays on Contemporary Latin American Fiction (1991). He is also the author of a collection of poetry, Last Waltz in Santiago and Other Poems of Exile and Disappearance (1988), and In Case of Fire in a Foreign Land: New and Collected Poems from Two Languages (2002), and the memoir, Heading South, Looking North: A Bilingual Journey (1998). His novels include Widows (1983), The Last Song of Manuel Sendero (1986), Mascara (1988), Hard Rain (1990), Konfidenz (1995), The Nanny and the Iceburg (1999), and Blake's Therapy (2001). His plays include Widows (which won a New American Plays Award from the Kennedy Center), and Reader (winner of the Roger L. Stevens Award from the Kennedy Center) which is in production world wide. Death and the Maiden, winner of many awards and also in production worldwide, was made into a Roman Polanski film. Mascara (with son, Rodrigo Dorfman), premiered in Bonn in 1998, and Who's Who (also with Rodrigo Dorfman) premiered in Frankfurt in 1998. He also has created a collection of his plays, The Resistance Trilogy, which includes Death and the Maiden, Reader, and Widows. His most recent non-fiction works include Exorcising Terror: The Incredible, Unending Trial of General Augusto Pinochet (2002), Other Septembers, Many Americas (2004), Desert Memories: Journeys through the Chilean North (2004), and he collaborated on the novel The Burning City, with his youngest son, Joaquin Dorfman. His latest plays include The Other Side and Purgatorio. 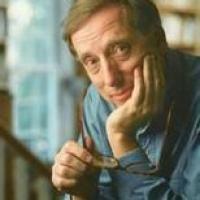 A documentary feature film based on his life, "A Promise to the Dead: the Exile Journey of Ariel Dorfman," was directed by Peter Raymont in 2007 and shortlisted for an Academy Award for Best Documentary. He has recently begun to work with composers, writing the libretto (in verse) for an operatic version of Death and the Maiden (music by Jonas Forssell), which premiered at Malmo in September of 2008; and the book for Dancing Shadows (music by Eric Woolfson, lead singer and composer of the Alan Parsons Project), which opened in Seoul in July 2007 and went on to win five Korean Tonys. He is currently working on another opera, with the Scottish composer Nigel Osborne, based on a legend of the Upanishads. He has just completed Feeding on Dreams: Confessions of an Uurepentant Exile, the second volume of his memoirs, which will Houghton Mifflin Harcourt will publish in Fall 2011. Prof. Dorfman continues to write regularly for many of the most important newspapers and magazines in the US and abroad, and in 2010 delivered the 8th Annual Nelson Mandela Lecture in Johannesburg, South Africa. Dorfman, A, A RADICAL FAITH The Assassination of Sister Maura. New York Times Book Review 121:52 (December, 2016): 18-18.